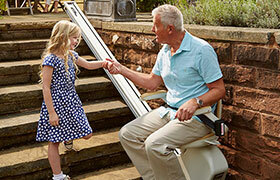 Stairlifts are our only business - We’re the stairlift specialists! Interstate Lift: Stannah Stairlifts & Chairlifts in the Greater Delaware Valley, Philadelphia, Southern NJ and surrounding areas! 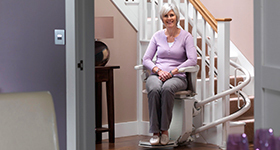 A stair lift is a secure seat that moves up and down a staircase on a rail. During our lifetime, at one point, most of us will be faced with challenges to our mobility, either for ourselves or a loved one. At Interstate Lift, we understand the decision to have a stair lift installed in your home might be difficult, but we’re here to help. We pride ourselves on offering a professional, friendly, and caring service to all our customers. 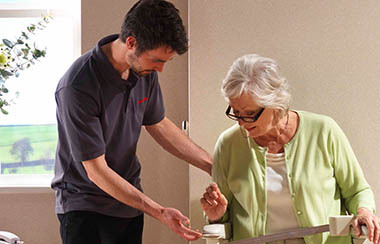 We work with you to make sure you have the right stair lift to suit your needs and your budget. 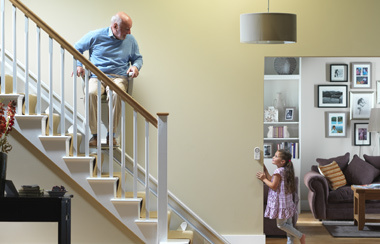 When mobility problems make climbing your stairs difficult or unsafe, Interstate Lift has the solution you need to stay in your home and remain independent. Interstate Lift is a family business with over 40 years of experience. We install and service the most popular brands of stair lifts in the Delaware Valley within a 100-mile radius of Philadelphia, and no one knows more about stair lifts than we do. We will work with you to achieve the best stairway solution at the best prices – our goal is for you to stay safely at home living your independent life. Our experienced team of certified installers can address a wide range of accessibility solutions utilizing only top quality manufacturers of stair lifts and accessories. Our installations are done with minimal downtime and require no special wiring, so whether your stairs are straight, curved, custom-made, narrow, have tight turns and landings, are interior or exterior steps, you can count on Interstate Lifts to get the job done on time and on budget. If you only need a stair lift or a limited time, we also offer rentals. 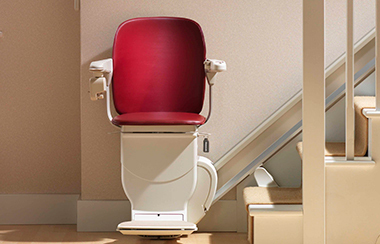 We offer free in-home consultations to determine which stair lift product is the best fit for your home and needs. Contact us today for more information! I feel so good, as I was unable to maneuver the staircase, and now am between floors as much as I want. Thank you so much! Without your help, we were going to be forced to consider a move. Now we can stay in our house, and enjoy our golden years. Your stairlift has made it possible for me to remain at home. You're a godsend. We would like to commend you for a thoroughly professional job installing our two stairlifts. We have been enjoying them a lot and for all intents and purposes we now live in a bungalow. Thanks for everything! 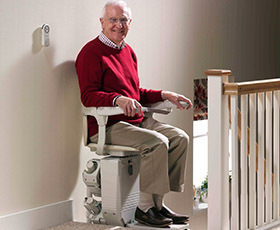 Interstate Lift is the stairlift specialist! Some other companies offer stairlifts as just one part of their business. At Interstate Lift, stairlifts are our only business. Interstate Lift offers only the highest quality consumer-tested products —at affordable, competitive prices. You make the decisions that make sense for your needs and budget: purchase or rent? Temporary or long-term? 24-48 hours of your request —direct from our large local headquarters. is proud to receive an A+ rating from the Better Business Bureau. Copyright © 2019 Interstate Lift. All Rights Reserved. Website By American Creative.